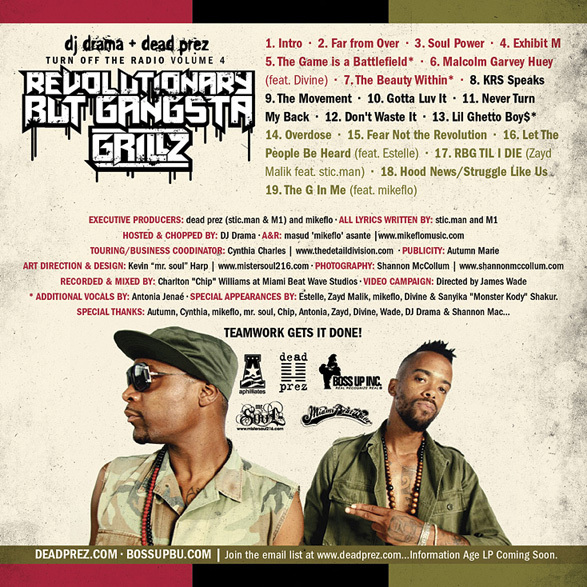 Dead Prez make militant, social justice hip-hop music for the people. If you ever saw 'Chappelle's Show'', the DPz provided Dave's walk-on music. Utilizing a judo-like approach, M1 and Stic Man hijack the glossy gangsta-pop techniques that the 'urban music' industry spends millions of dollars engineering, then, craft and record their own top notch productions. 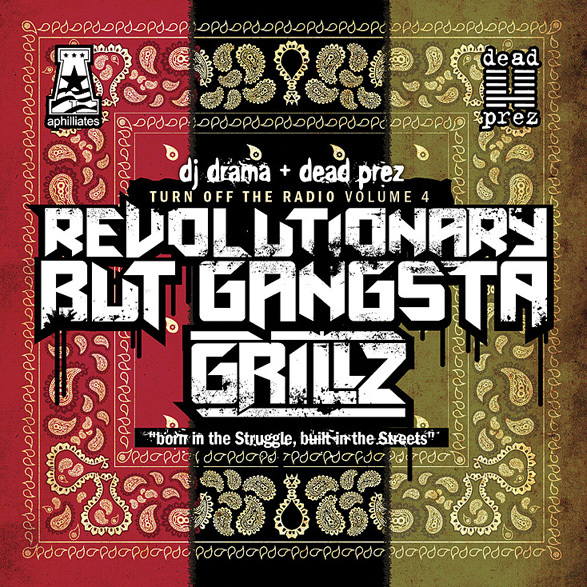 Dead Prez sure know what makes a revolution want to dance, thus ensuring the bass-heavy and clubwise riddims are laced with sharp and memorable hooks. Rather than a dose of hard breakbeats and agit prop slogans, listeners are more likely to be challenged by the hardline political lyrics, delivered in unflinching but honest verses. 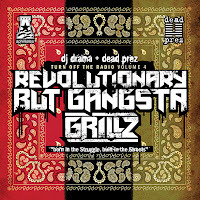 DPz break down the mechanics of capitalism and modern day slavery, using equal parts: love, rage and wisdom. Still teaching community responsibility and love-of-culture, but always staying focused and militant, always ready to use Babylon's own weight against itself. 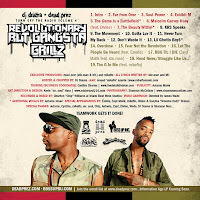 and get the new mixtape.